Studies have shown the most productive method for indoor growing is by starting plants with Metal Halide and then switching to High Pressure Sodium grow lights. 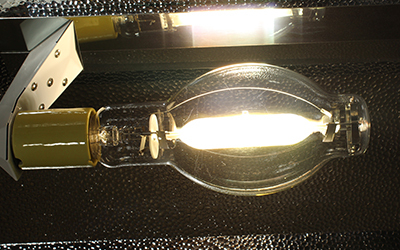 HORTILUX Metal Halide lamps are specially designed to provide the spectral energy required for beginning stages of plant growth. HORTILUX Metal Halide out performs most grow lamps because of high initial light intensity and consistent output of the exclusive EYE HORTILUX spectrum. 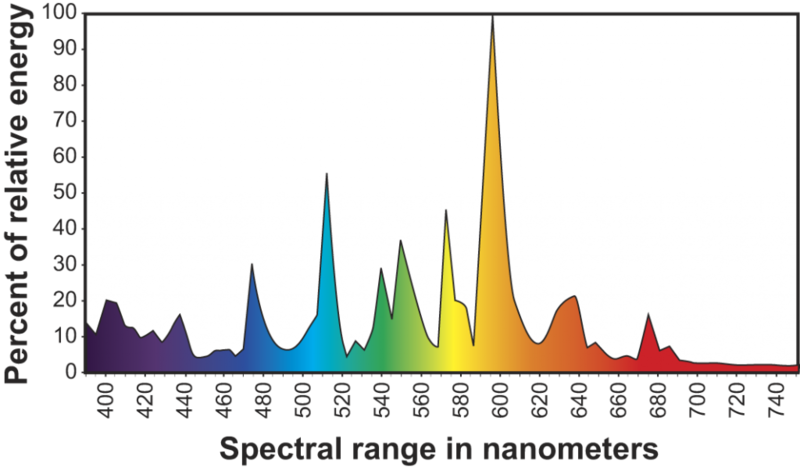 This exclusive EYE HORTILUX Spectrum gives HORTILUX Metal Halide lamps a distinct edge over our competition, providing 30% better spectral maintenance than our competitors. This prolongs lamp life, reduces lamp replacement costs and also results in reduced down-time and maintenance costs, making HORTILUX Metal Halide a great, cost effective solution to your plant growth needs – especially in the vegetative stages. - Cost effective veg light for large grow areas. - Produces faster growth vs other standard MH lamps. - Ideal for vegetative growth. - Use with core & coil ballasts for optimal performance.